RIP Lee Kuan Yew. 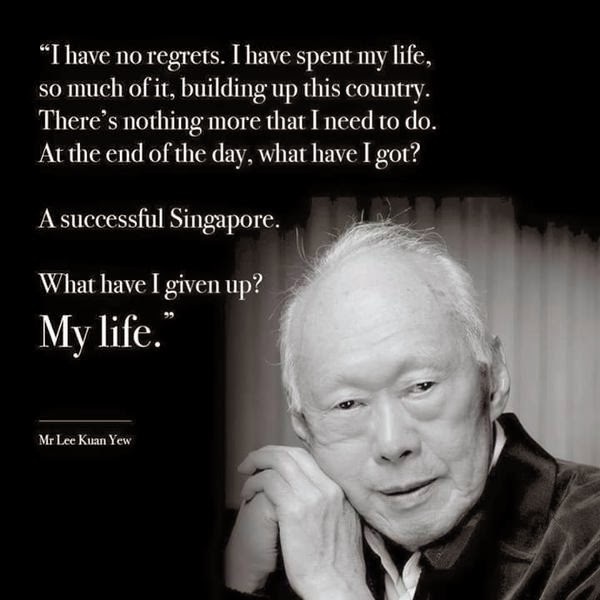 A great statesman who transform no natural resourced Singapore into a economic powerhouse in his single lifetime. RESPECT! A great man's achievement in life is only measured after his death. Even though he may be controversial at times, no one can deny his accomplishments & contribution as a founding father of Singapore. I noticed that his birthday falls on 16th September 1923. 16th September coincidentally was the formation birthday of Malaysia where Singapore momentarily for 2 years was in. Kinda of heart-wrenching to see the current Prime Minister of Singapore , Lee Hsien Loong announcing his own father's departure by refering him as Mr.Lee formally. You can clearly see him in the video try very hard to hold back the tears when reading the announcement in English, BM, and Mandarin.